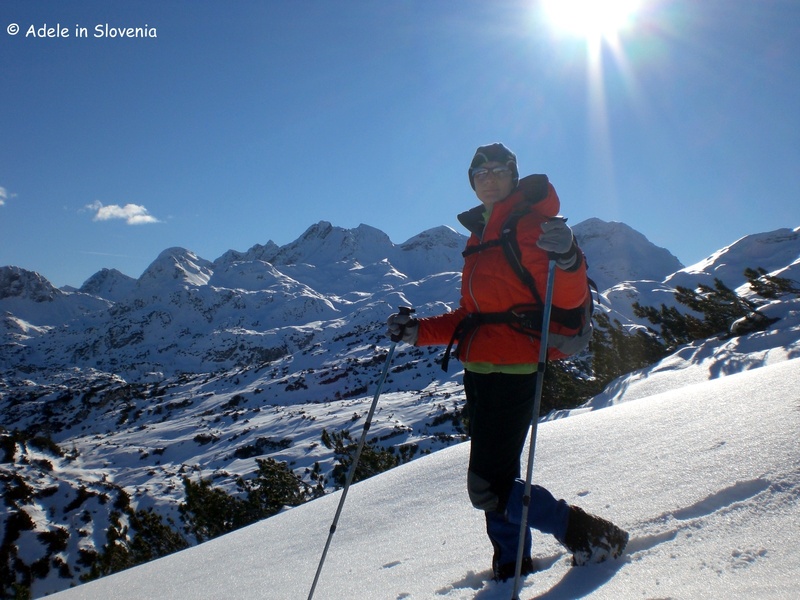 I’ve had quite a few enquiries recently via my blog regarding winter hiking in Slovenia. So, I thought I would put together a new blog post with some ideas about where to hike here in winter, and also about another alternative winter sport – snowshoeing. 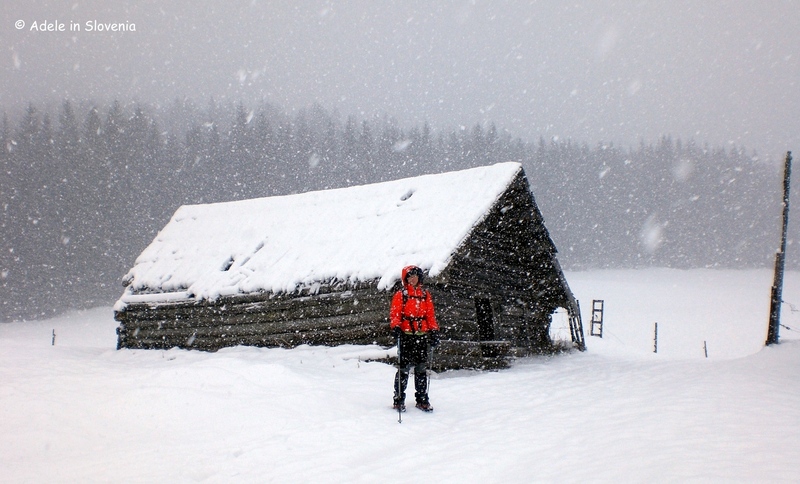 Before I go on, however, one thing I would like to emphasise – and cannot emphasise enough – is that you MUST be properly prepared and equipped for winter hiking. In the past couple of weeks there have been a number of deaths in our mountains, and, as is so often the case, among them are tales of people going to the mountains in trainers or other such inappropriate attire. Proper equipment is essential year-round, but particularly so in winter, as is knowing the terrain. Personally, during winter, particularly when hiking alone, I stick to routes that I know and that I know are well-trodden. 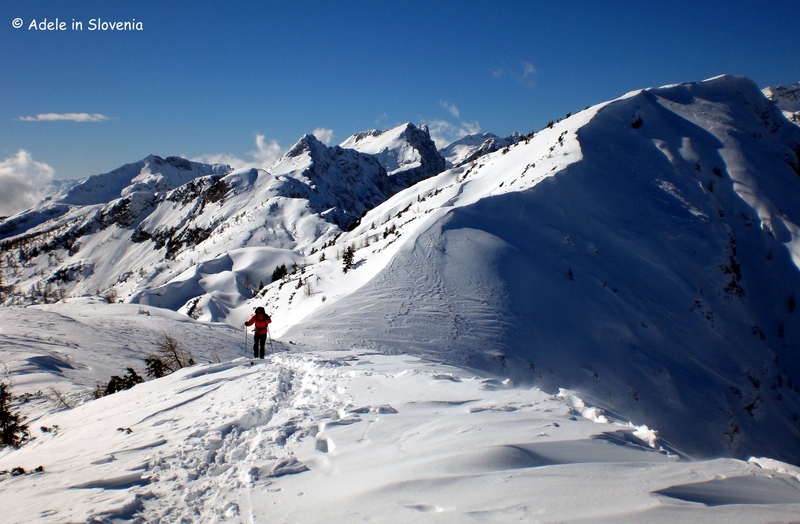 As I’m not a skier – never have been and never will be – snowshoeing provides great exercise and (can be!) great fun too, provided the conditions are right. Putting on a pair of snowshoes for the first time is a slightly strange experience. One feels rather awkward and clumsy walking around with, what look and feel like, tennis racquets strapped to your feet, though the modern versions, as seen below, are somewhat sleeker in their design. Once you get used to walking with a wider and slightly ungainly gait, you soon get used to it, though a pair of hiking poles is a requisite. Walking with snowshoes enable you to access places on foot that would otherwise be inaccessible during winter. 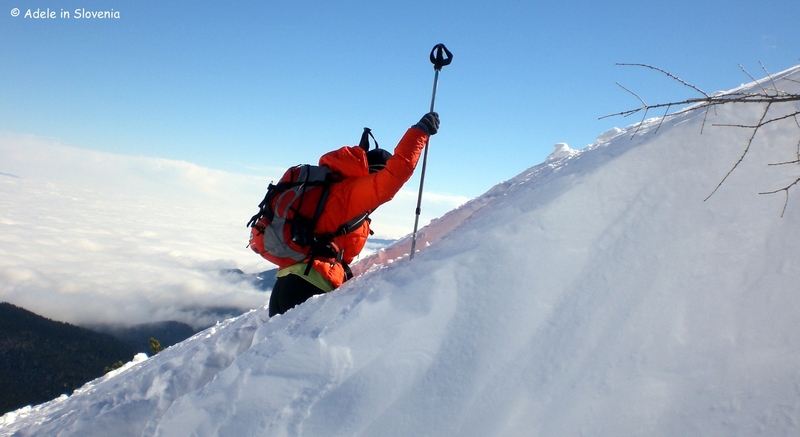 However, snowshoes aren’t suitable for scaling high peaks, but rather for traversing wider, flatter snow-covered terrain. One of the best, and one of my favourite, places for winter activities is the Gorenjska region, where I live in the northwest of Slovenia, is the Pokljuka plateau. The entire forested Karst plateau, 20kms in length, is within Triglav National Park, and reaches an elevation of 1,400m. The highest peak is Debela peč (2014m), which, together with the peaks of Brda, Mrežce and Viševnik, are among the most popular with hikers year-round. 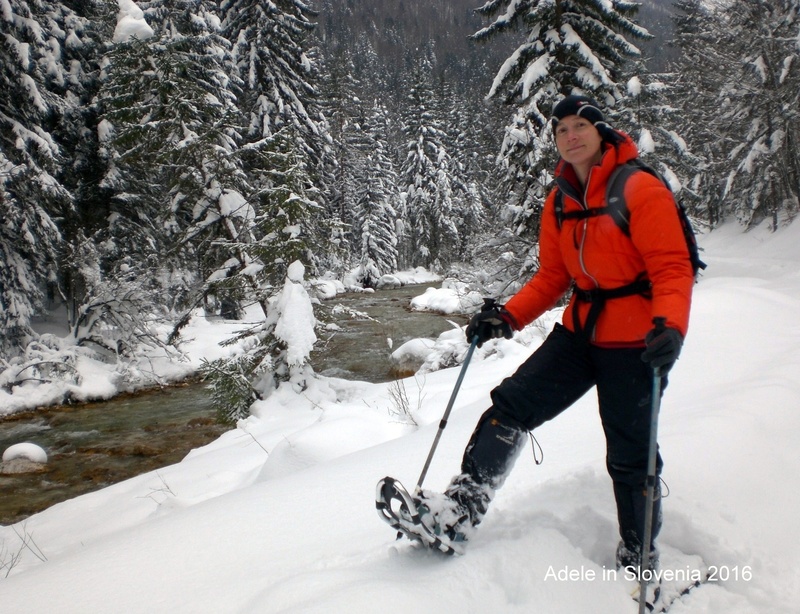 As can be seen below – me en-route to Debela peč – winter hiking, when at times you can be waist deep (or deeper!) in snow, can be exhausting at times, so isn’t for the faint-hearted! But the rewards can also be fantastic, provided you are well-equipped, sensible, know the terrain, and are fit enough! Pokljuka is approximately 15kms from Bled. Other than for a few months during summer, there is no regular, scheduled public transport to the plateau, so a car is essential. The plateau can also be reached from the road which turns off near Bohinjska Bistrica and leads up towards Gorjuše. 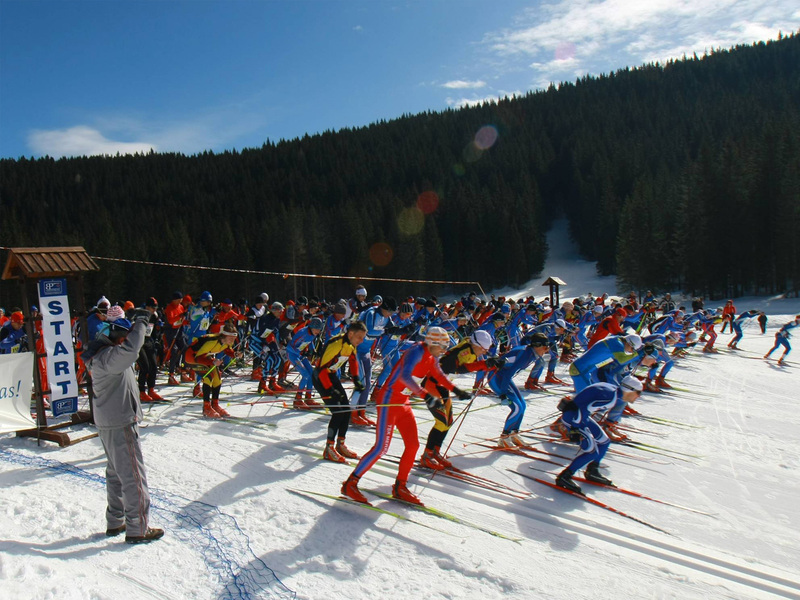 Pokljuka is a very popular destination with fans of cross-country skiing. I have tried it, on a few occasions, but me and skiing – of any kind – are never going to get along! Here’s me trying to ‘play it cool’ whilst a group of Slovenian military recruits go whizzing by! I’ve been there at times when the weather is less than favourable too, though once home in the warm with a cuppa, all is forgiven and forgotten! 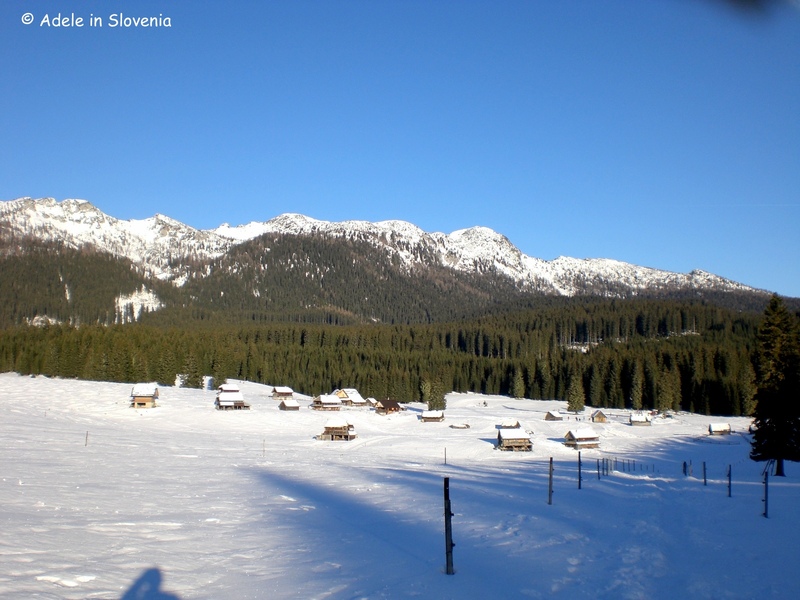 With its wide, open pastures and traditional wooden huts, the beautiful Planina Zajavornik highland is among the most popular parts of Pokljuka. The highland is also equally stunning during summer. You can cross the highland on foot and then head further up to the Blejska koča mountain hut, where you can enjoy hearty, traditional Slovenian food such as Carniolan sausage or a stew such as ričet, or, if the road is clear of snow, you can drive a little further by taking the road to the right from Mrzli studenec then park on the opposite side of the highland before continuing on foot up to the mountain hut. There are so many lovely parts of Pokljuka, it’s hard to choose a favourite and it’s equally beautiful, if not more so, during summer. Below you can see the Kranjska dolina highland, which you pass if you take the road as described above. I particularly like cycling in this area in summer. It’s fairly easy to navigate your way around Pokljuka, but a map of the Julian Alps will certainly aid you in planning routes. I hope this has provided some ideas and inspiration for winter hiking in Slovenia. I wish you happy, and above all, safe, hiking!